Stripped thread of the engine mounting is not as bad as it seems at first glance. Often the thread stripps if it is damaged. Boris used to have different cheap sliders and a self-made cage with fasteners of insufficient hardening and strength class 8.8 on his P6. 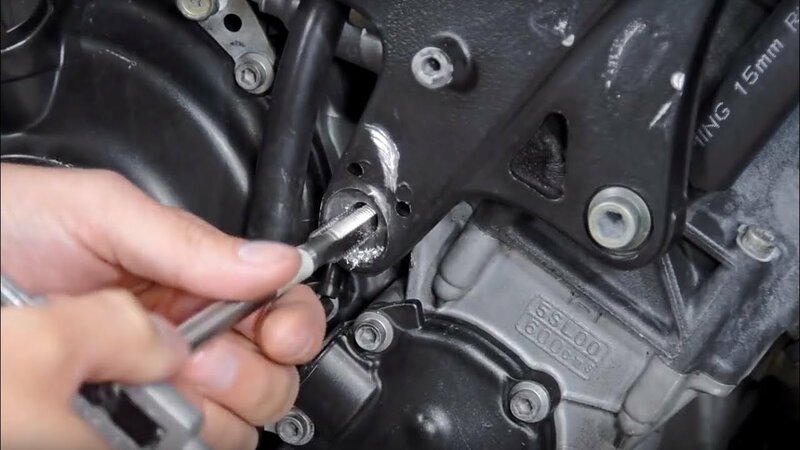 As a result of multiple falls, the bent bolts damaged the thread and deformed the mounting hole so that the tightening of the bolt M10 with the necessary force spripped the thread in the engine. 1) Use a special kit to restore the thread. 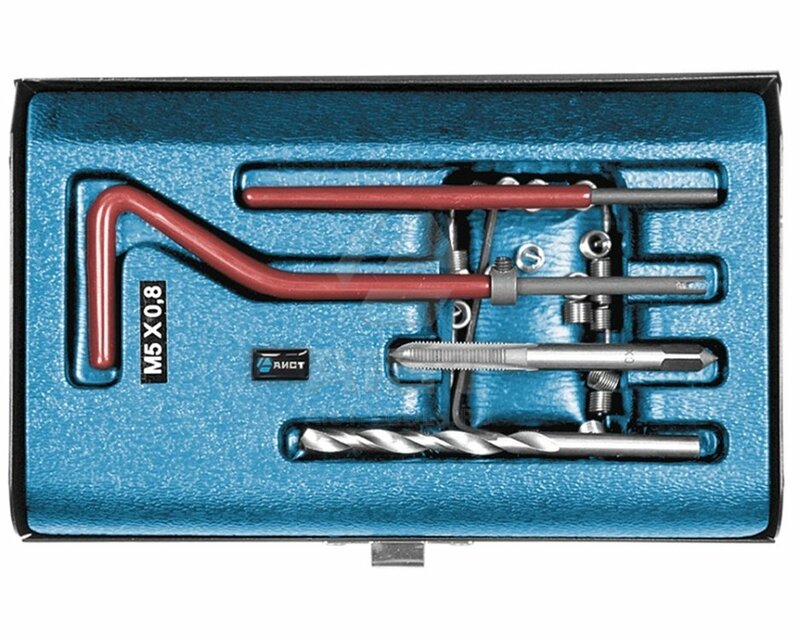 This kit will allow you to keep the original diameter of the thread and use the existing bolt. What you need to do is to drill a hole for a bolt in the engine. To do this, you must remove the engine, because the hole in the frame must remain original. Removing the engine takes some time, which many riders don't have during the riding season. 2) Drill a bolt hole of a larger diameter and cut a new thread. In this case, you do not need to remove the engine, but you have to drill out the frame side mount, which will make it less durable. The experience of many stunt riders shows that this option works fine and does not create any problems if there is quality protection. It is better to buy a tap for threading together with a drill, because the drill diameter must be less than the diameter of the thread. The tap should be for blind holes, and if the bolt goes in for the full depth of the hole, it is necessary to use a tap of different passes, since the tap of the first pass does not cut the thread at the end of the hole. The video shows the process of cutting a new thread for an M12 bolt.